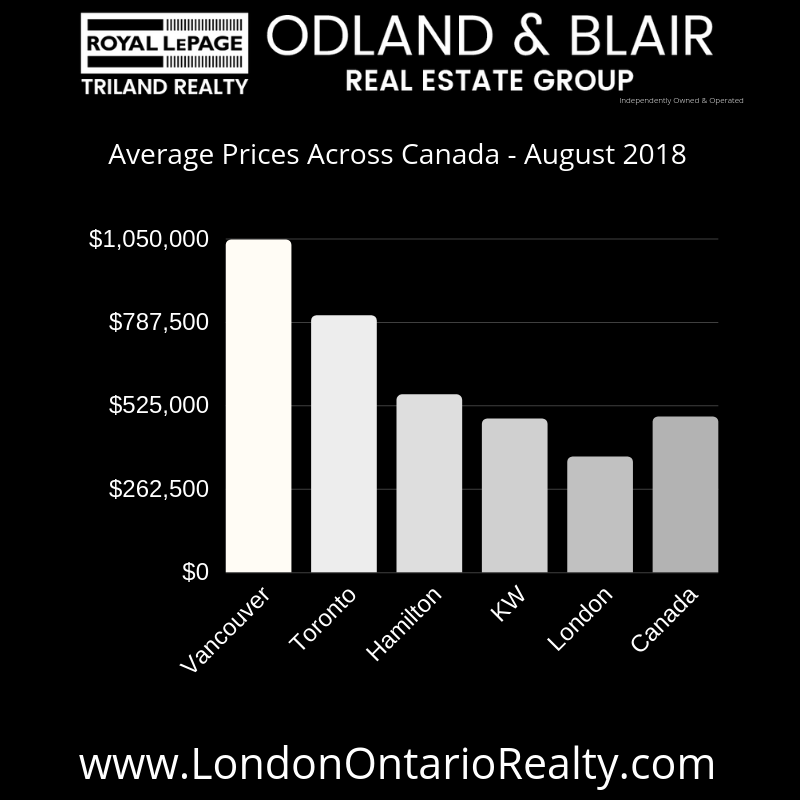 The London & St Thomas Association of Realtors or LSTAR has released its real estate market update for August 2018. Here is our breakdown of the numbers. The following chart is based on data taken from the CREA National MLS® Report for July 2018 (the latest CREA statistics available). It provides a snapshot of how average home prices in London and St. Thomas compare to other major Ontario and Canadian centres. According to a research report1, one job is created for every three real estate transactions and approximately $53,000 in ancillary spending is generated each time a home changes hands in Ontario.